Larry Booker began wrestling in the mid-1970’s, catching his first break as Larry Latham. 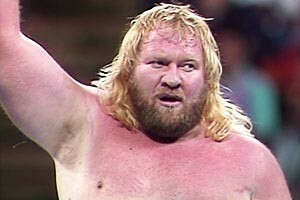 The 6’2” 298-pound scrapper teamed with Wayne Ferris (later known as the Honky Tonk Man) to form the Blond Bombers, a heel tag team that captured the AWA Southern Tag Team Championship in Memphis Wrestling. 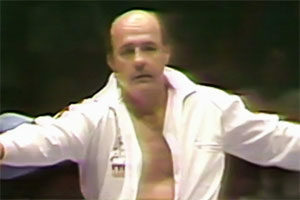 The Bombers entered wrestling lore when they worked a wild tag team match against Jerry “The King” Lawler and “Superstar” Bill Dundee that spread out of the ring and around the arena, including a furious fight near a concession stand. The event became known as “The Tupelo Concession Stand Brawl” and is still talked about decades later. In 1981, the team of Rex and King, the Moondogs, captured the WWF Tag Team Championship. 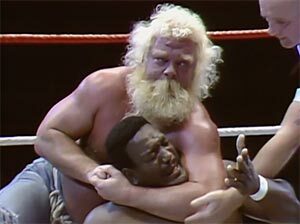 With their ripped up blue jeans, wild facial hair, and oversize rawhide dog bones (convenient for clobbering opponents with), the Moondogs were portrayed as the wrestling equivalent of two rabid dogs. Unfortunately, travel issues arose for the Canadian born Moondog King and he was unable to enter the United States. 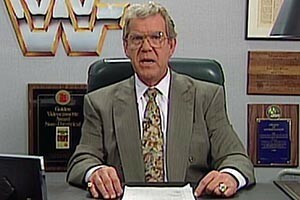 Eventually, Booker was selected as his replacement, becoming Moondog Spot (The WWF reported King had been hit by a car he’d been chasing) and holding the WWF Tag Team Championship. 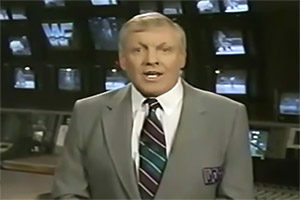 Spot and Rex wrestled in Memphis after they dropped the WWF Tag Team Championship, battling the popular team of the Fabulous Ones in one of the territory’s hottest feuds. 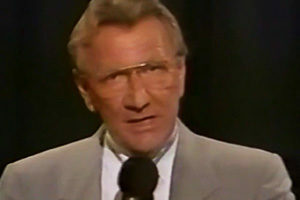 Eventually, Spot returned to the WWF, making his way into the second round of 1985’s The Wrestling Classic after upsetting Terry Funk. 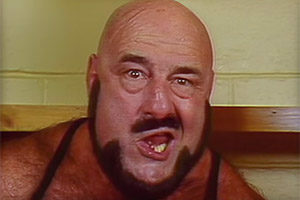 Spot teamed with Barry O and worked as enhancement talent during the WWF’s tag team heydays of the mid-1980s. 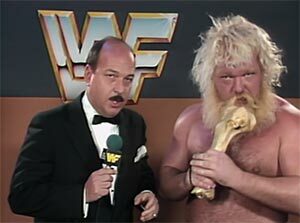 Moondog Spot returned to Memphis, now known as the United States Wrestling Association (USWA). 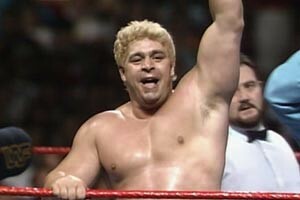 There, he teamed with various Moondogs, winning the USWA Tag Team Championship multiple times. 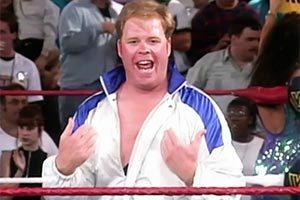 Spot later opened his own wrestling school, but kept active on the independent circuit and made a few appearances in NWA-TNA in 2003. On November 29, 2003, Moondog Spot teamed with his protégé Moondog Puppy Love to battle three other teams (including the Rock-n-Roll Express) in a four-team Concession Stand Brawl at a Memphis card celebrating Memphis legend Jerry Lawler’s birthday. During the match, Booker collapsed and fell unconscious after suffering a heart attack. The match was quickly finished and medical personnel attempted CPR. Booker was taken to Methodist Central Hospital where he was pronounced dead. It is believed Booker’s heart attack resulted from complications involving diabetes. He was 51 years old. 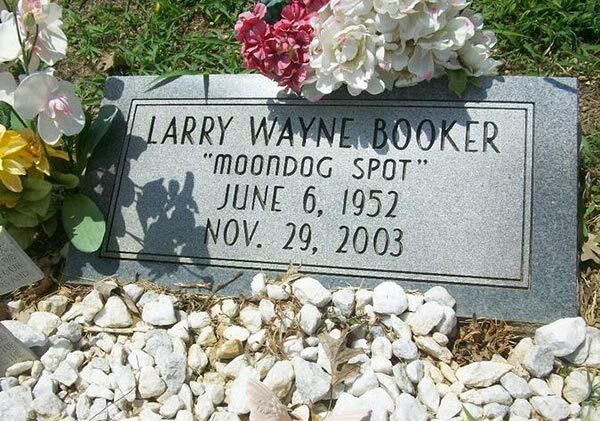 Sadly, Larry Booker joins a long list of other wrestlers who have died in the ring. 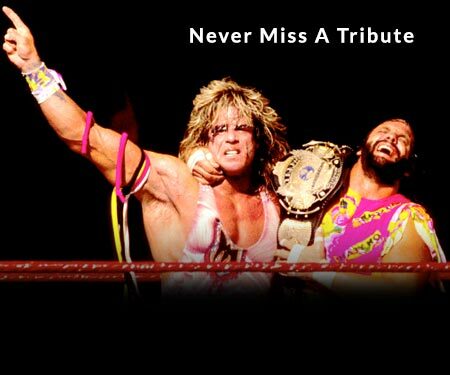 We’ve compiled these names on our full list of deceased wrestlers page, which you can sort by “Died in the ring” by clicking the “cause of death” heading. Larry Booker was survived by his wife and seven children. He is buried at Zion Hill Cemetery in Dyer County, Tennessee.